It all started with a few lovely over ripe bananas in the fruit bowl and some good intentions. Banana bread. The healthy kind. However, somewhere between sitting in my office and arriving in the kitchen, those good intentions got railroaded by the thought of doughnuts. 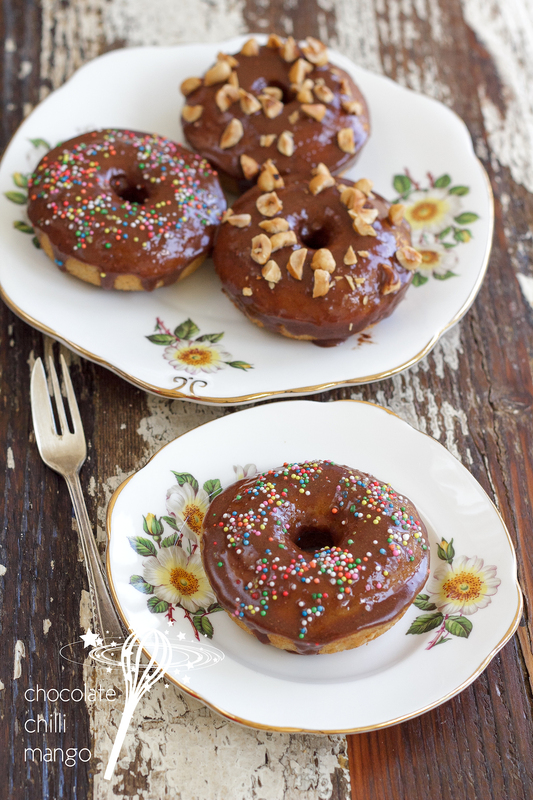 Baked doughnuts. But proper baked doughnuts. Banana doughnuts to be exact. It’s been a while since I last made them. I needed doughnuts. So much for good intentions. Maybe it was the nagging thought of that delicious jar of nutella I made the night before that pushed me over the edge. It probably doesn’t matter. I made doughnuts. I am so glad I did. You will be too. Oh, I used my own homemade Nutella to make the glaze, just because I despise what passes for Nutella these days. I rant about that all the time, as I cannot understand why you’d change such a wonderful recipe to make it so blah. But millions of people the world over don’t seem to care, so who am I to judge? If you are like me, make your own. It is so so worth it. Otherwise, buy a jar and make this glaze. Seriously, make sure you don’t eat all the glaze before the doughnuts cool. It’s that good 🙂 More hhhhhnnnnnnggggg!!! Trust me, click on this photo. See? 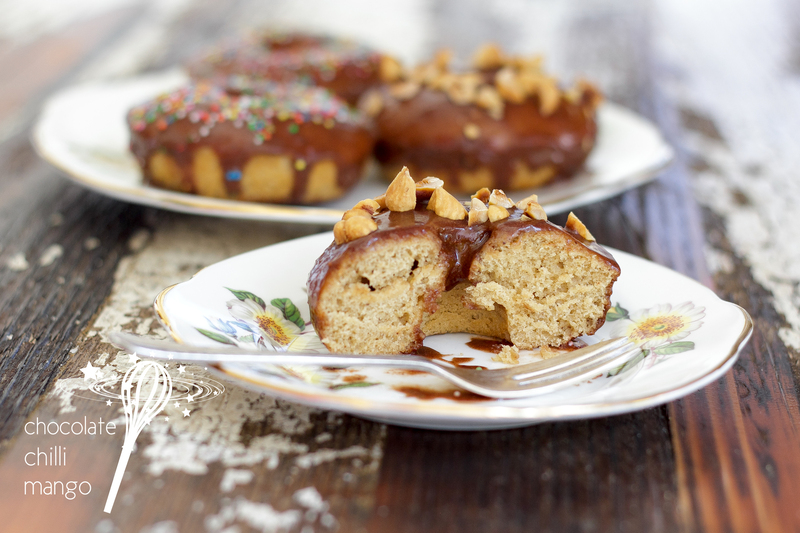 These doughnuts are soft and full of banana and brown sugar goodness. The Nutella glaze just tips them over the edge of insanely delicious. 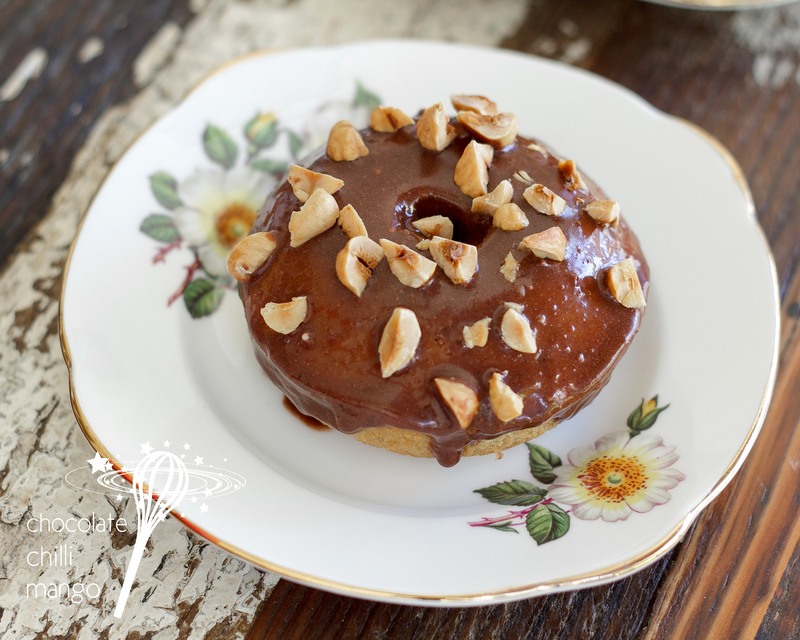 If you are not a fan of Nutella, you can substitute almond or peanut butter for the Nutella in the glaze. Add a dash of cinnamon and you have an amazing variation. For my part, chocolate and hazelnut will always be my favourite combination ever and it’s just perfect here. *You can substitute 15 grams unsalted butter, melted, if you prefer. Preheat the oven to 170℃ (or 150℃ fan-forced). Grease the doughnut pans with a little baking spray, oil, or softened butter, and set aside. Place the flour, sugar, vanilla, and baking powder into a bowl and mix well. If using a whole vanilla bean, scrape the seeds into the flour mixture. Blend or mash together the egg and banana. Add the milk and oil (or butter) and blend until smooth. Add the wet mixture to the flour mixture and beat until smooth. 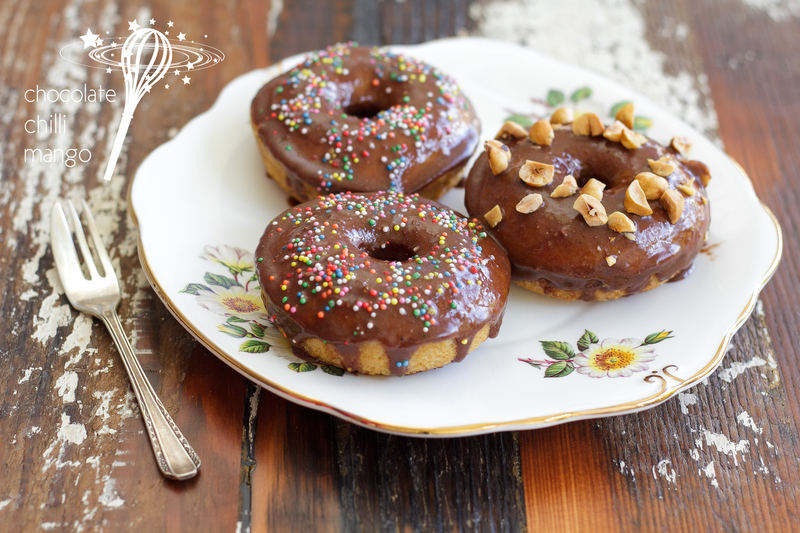 Divide the batter equally amongst eight doughnut moulds and tap the pan to level the batter in each doughnut cavity. Bake for 10 to 12 minutes until the doughnuts are well risen and lightly golden. Remove from the oven and allow to cool while you prepare the glaze. Sift the icing sugar and cacao powder into a medium bowl. Add the Nutella and start to blend together. Add half the milk and mix until smooth. Add the rest one tablespoon at a time until you get the consistency of a pourable glaze. When the doughnuts are cool, dip each into the glaze. 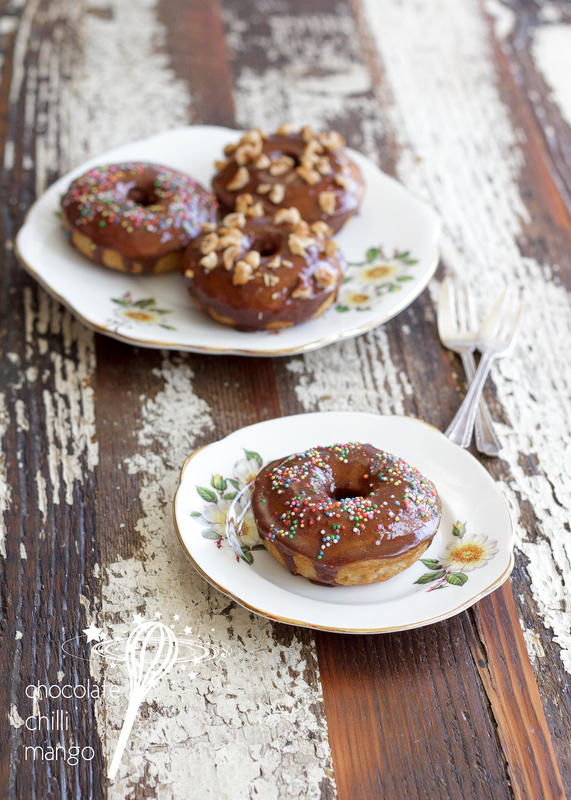 Decorate with roasted hazelnuts or sprinkles, as desired. Set on a lined tray to allow the glaze to set before serving. 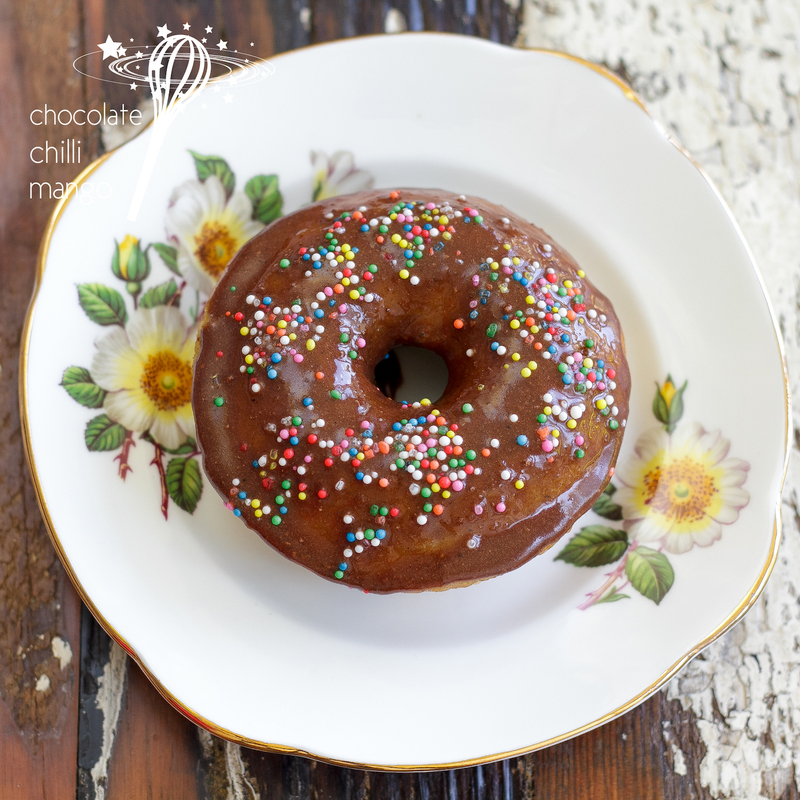 The doughnuts will keep for 2 – 3 days in an airtight container. Next Post Hot Cross Protein Bombs!